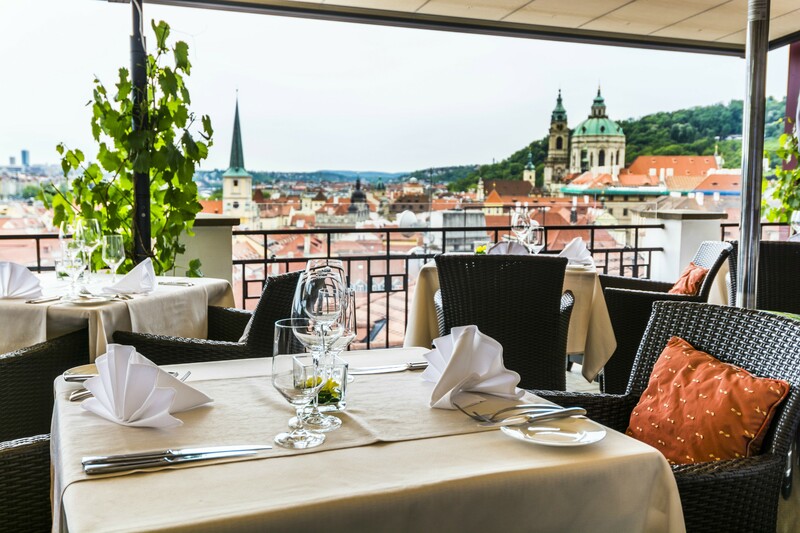 Despite its kitchen's notable accomplishments, this restaurant wows primarily with its truly magnificent view of Prague. 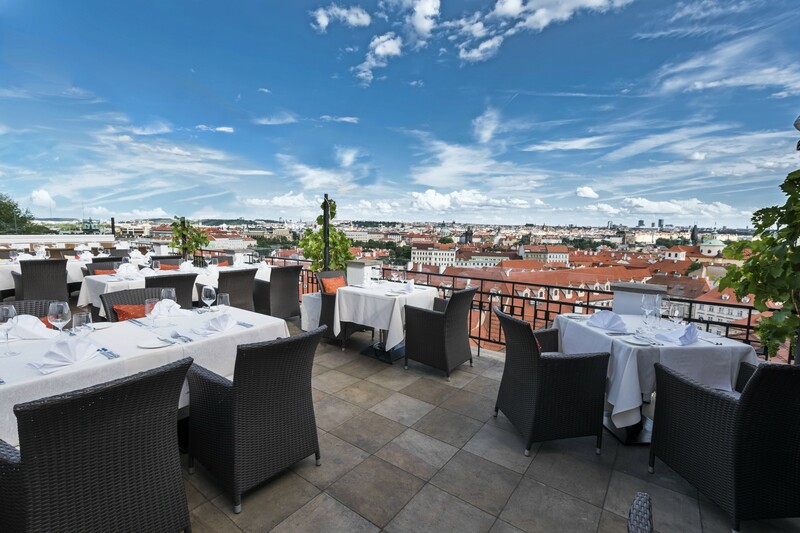 The view is especially impressive during the summer, when you can sit on the open rooftop terrace right below Prague Castle walls. 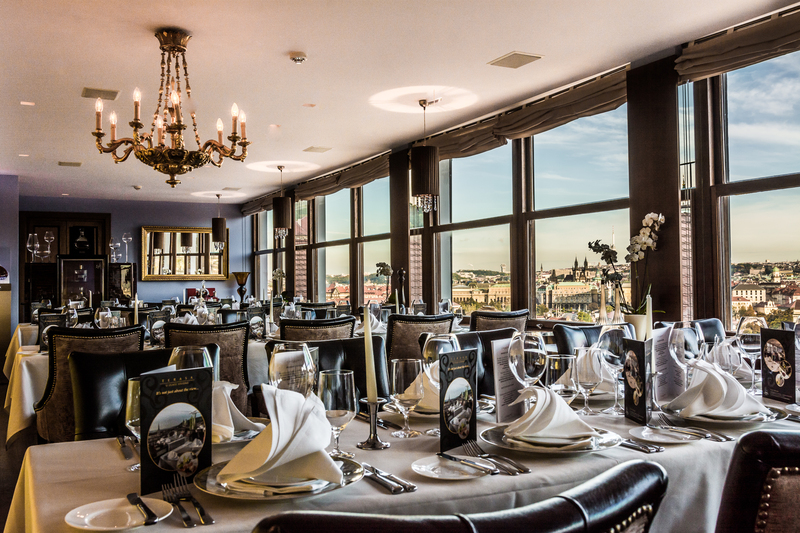 A fine dining establishment where the elegant, continental cuisine is carefully prepared by experienced chef Pavel Sapík, Terasa U Zlaté studně is that "wow" venue perfect for special occasions such as marriage proposals and anniveraries. Terasa U Zlaté Studně restaurant has been occupying the topmost positions in both national and international rankings on a regular basis; it has won many unique culinary awards.